The back-electret condenser capsule offers a smooth, tailored frequency response with a cardioid pickup pattern that is highly effective in suppressing feedback and unwanted noise. The hanging adapter is a flexible, steel-spring wire used to facilitate positioning of the VCM 3 when suspended by its cable. The VCM 3 comes with a 33' (10 m) small-diameter cable, allowing it to remain as inconspicuous as possible. 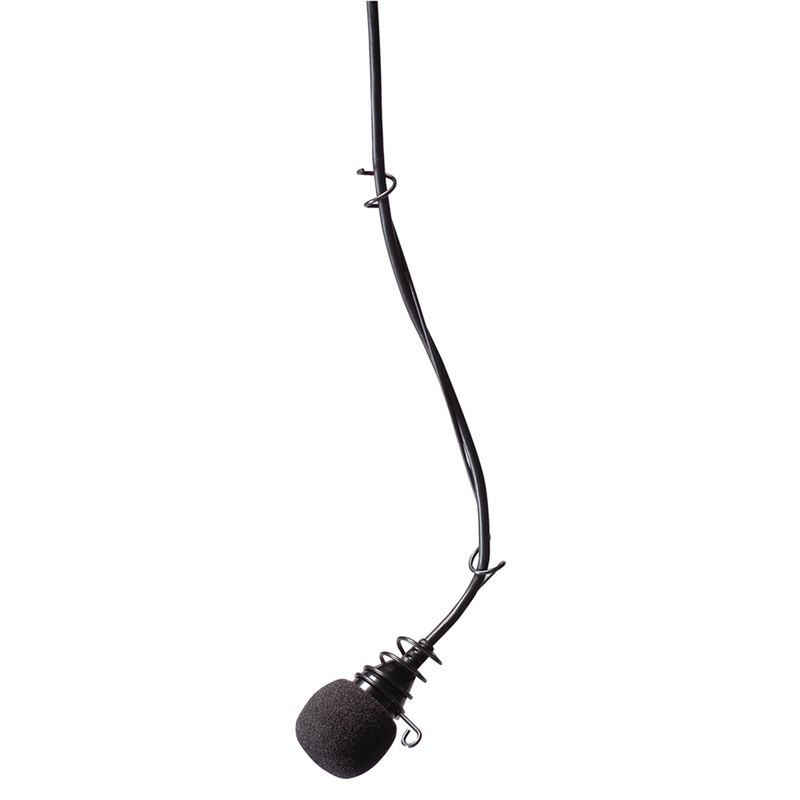 This rugged, durable cable will fully support the VCM 3 and its hanging adapter. This cable connects to a compact output module. The output module also adapts the smaller QG-type connector to the typical three-pin XLR for use with a standard microphone cable. This adapter operates on phantom power supply DC voltages between 9 – 52 volts. The VCM 3 is a low-profile microphone designed primarily to be suspended above choirs, ensembles or stage areas for sound reinforcement with virtually no visual distraction. The back-electret condenser capsule offers a smooth, tailored frequency response with a cardioid pickup pattern that is highly effective in suppressing feedback and unwanted noise. The hanging adapter is a flexible, steel-spring wire used to facilitate positioning of the VCM 3 when suspended by its cable.